Knowing that Contributor will allow annotations for free is outstandingly excellent. MadCap Software truly does listen to its customer base. "Knowing that Contributor will allow annotations for free is outstandingly excellent. MadCap Software truly does listen to its customer base." 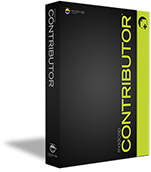 "Within a couple months everyone was using Contributor. Since then, Contributor has allowed us to complete roughly twice the amount of work with the same number of technical writers; we couldn't have kept up with the increased workflow without it." "When our implementation team members are with customers, they often glean recommended improvements to our software. Contributor (formerly X-Edit) will let them capture this feedback and then easily bring the changes and comments back into our Help system. We're also seeing interest from our support department where people would love to be contributors. Additionally, it will make it easier for our business analysts to review the documentation and make sure it has appropriate use cases and exceptions criteria." "SMEs can pop in and out of the documentation task without having to set aside swathes of time, and the content they produce can be integrated much faster. My colleague handles the operations manual, and at times has up to 10 contributing authors using the Contributor template. Even then everything looks consistent, and that's important because we put a priority on standards."